Yes, I went and made myself a personal planner! And I am slowly sinking into the planner nerd part of life. 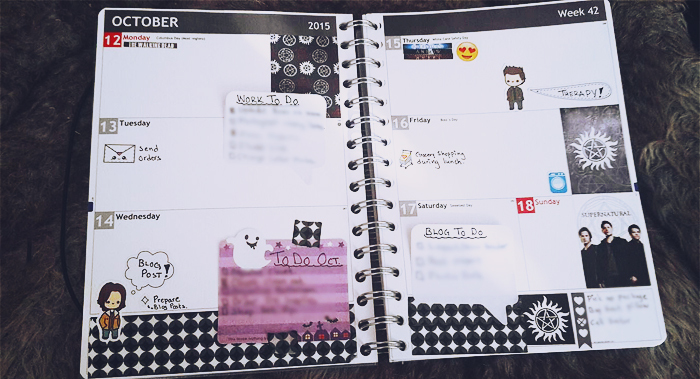 How can one not with all the adorable planner stickers over on Etsy? Still a newbie but it's fun and making something that can be so boring fun motivates you! Thinking of all the must-do in life. Getting the chance to design your own front and back I of course went along and made mine zombie inspired. 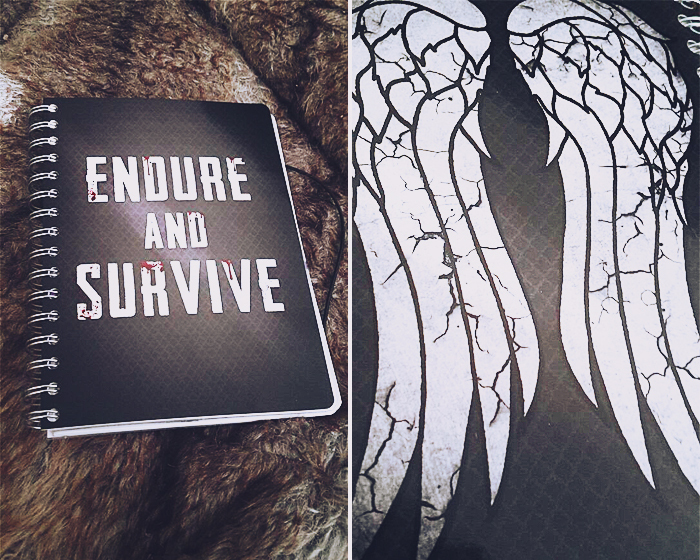 The front being my favorite quote from The Last of Us and the back being a Daryl Dixon inspired one. I am still working out on how to customize the inside with inserts and etc. I used Personlig Almanacka / Personal Planner to make mine and I highly recommend them! Can't say much about how they are with international orders but I haven't seen any signs from others in UK etc that shows it's bad so.